Current technology only allows for liquid metal to be printed on flat surfaces. Kim Do-yoon, a graduate student on the research team, succeeded in reducing the width of the circuit in micrometers (㎛) by designing a circuit that enables liquid metal printing on curved surfaces. The liquid metal electric circuit is able to maintain electric conductivity even when pulled or bent. The new circuit will help to expand various fields in electronics and IT including flexible display, sensors and wearable devices. 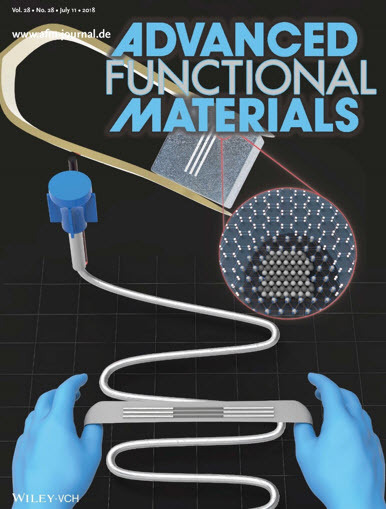 The results of the study were published on the cover of Advanced Functional Materials, a leading journal in the field of materials science.